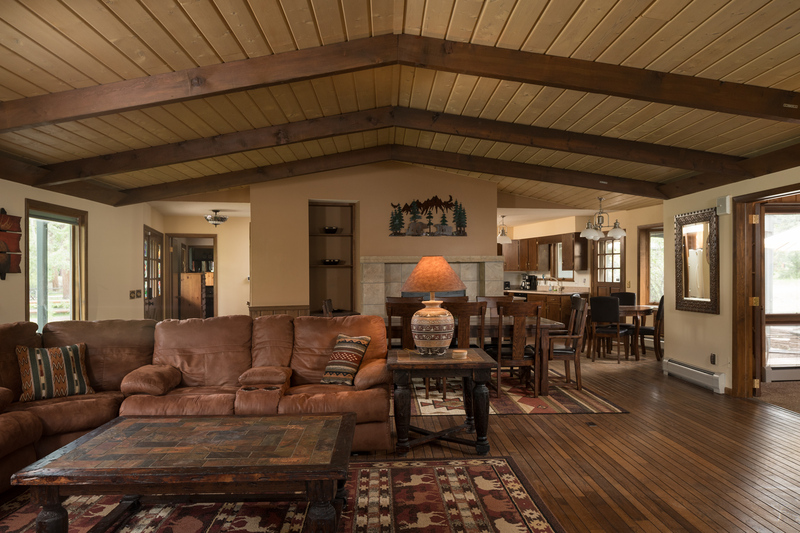 The River Ranch still has some high season availability! The River Ranch is a sprawling riverfront property surrounded by aspen groves and natural beauty. The home is situated only 2 miles from the main gate of Rocky Mountain National Park, within a 4 minute drive of downtown Estes Park, and moments from some of the best activities and restaurants that Estes Park has to offer! The River Ranch is nestled along a lovely stretch of the Big Thompson River. It has a gas fire pit, dry sauna, new outdoor hot tub, pool table, board games, Direct TV, and high speed WIFI. Surrounded by a mature aspen grove, meadows of native grass, and outstanding access to trout fishing (catch and release), this beautiful property is also home to one of the most active elk-grazing areas in Estes Park. The home itself provides high-end furniture in a classic Rocky Mountain style, a fully-stocked kitchen, outdoor furniture, stone patios, charming bed coverings, luxury linens and towels, bathroom amenities, a spacious living area, washer/dryer, and a two car garage. It’s more than 2,800 square feet to provide your group with the perfect riverfront getaway in the Rockies! 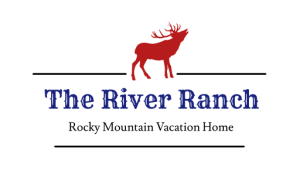 The River Ranch is an accommodations partner with The Landing and is booked through VRBO.com.